The battle between TWRP recovery and ClockworkMod recovery will likely be forevermore. Most of those arguments usually stem from people who can choose between one of the two main custom recoveries. For example, those people with one of the most popular smartphones in the world like the Samsung Galaxy S6 will likely get to choose between TWRP Recovery and CWM Recovery. However, some of the lesser known devices like the Samsung Galaxy J1 Ace don’t always have a choice; therefore, you might find yourself falling in love with the custom recovery you end up using. The main point is that you will indeed have a custom recovery installed on your device. 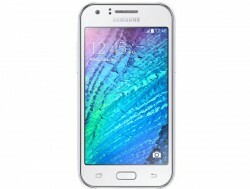 The following guide teaches you how to install TWRP recovery on Samsung Galaxy J1 Ace. It isn’t difficult to install TWRP Recovery on Samsung Galaxy J1 Ace; however, you do still void the warranty since it’s a custom action and not an official one. Do not flash any of the files we are issuing throughout the guide on any device apart from the Samsung Galaxy J1 Ace with model number J110F. Download the Samsung USB Drivers  for mobile phones from our USB Drivers webpage. You’ll see the official Samsung driver link when you scroll down the page. Those that do not want to use the link from Samsung can use the universal USB driver link from the same page. Check that you have the USB Debugging enabled from the Developer Options menu. Head over to the Apps > Settings App > Developer Options and you’ll see the USB Debugging box that needs to be checked. Download the TWRP recovery file you need from this page . Download the Odin app from here  so you can flash the custom recovery on your device. Unzip both folders to the desktop so you can use the files inside the folders. Double-click and run the Odin app from the Odin folder. You should end up with the Odin app open and waiting for us to come back to it in a minute. Turn off the Samsung Galaxy J1 Ace if it’s already on. Reboot the Samsung Galaxy J1 Ace in Download Mode by pressing and holding the Volume Down + Home + Power buttons. Release the three button combination when you get to the download mode or warning screen. Those that see a warning screen must press the Volume Up button and then they’ll be ready to continue. Click the PDA/AP button and browse the desktop/computer for the TWRP recovery file that you unzipped earlier. Click the Start button in Odin and the app will now flash that same custom recovery to your device. Wait until you see Odin give the all clear by sending a “pass” message on the display before finally disconnecting from the computer. Nice one! You now have TWRP on Samsung Galaxy J1 Ace. Be sure to search for what custom ROMs are available for your device and reviews the reviews available before flashing. You’ll find some ROMs are better than others.